Productivity tools help us combat distractions and procrastination at work. We all get distracted at one point or another. And most of the time, we get most distracted when we are about to start a difficult task. The good thing is, we can learn how to manage distractions and still be productive. And we’ve picked out the best productivity tools that we’ve tried ourselves. 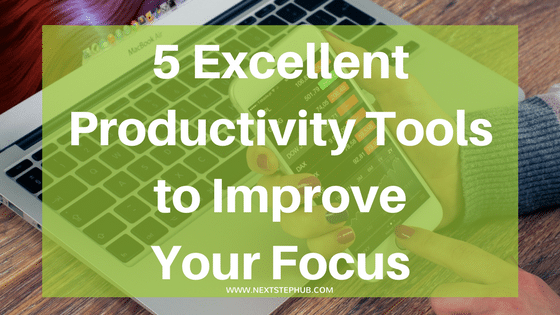 Check out these five awesome productivity tools that can help increase your focus at work. This tool helps you track the time you spent on applications and websites. It will help you analyze your daily habits and determine which activity eats most of your time. Once you installed the tool, it will let you choose a productivity level for your activities. The scale ranges from ‘very distractive to ‘very productive’. For example, you choose ‘distracting’ for social media sites, then ‘very productive’ for Slack and Trello. Rescuetime will track the productivity level of each activity, and this will contribute to your ‘productivity score’. This gives you a clear pattern on where your attention was and how you used your time. Rescuetime is free to use You can also get a premium account to block websites and track offline activities. Flowstate brands themselves as the most dangerous writing app. But if you’re a writer who gets distracted easily, it’s heaven-sent. One of the biggest challenges for writers is getting into the creative flow being consistent. Oftentimes, it’s called writer’s block. Flowstate aims to set the difference between writing as a creative process and editing. How does it do that? Simple. It deletes everything you type when you stop writing. Yep, all your hard work goes down the drain. This app sounds notorious, but it actually helps you produces fantastic results. Loyal users claim that the app improved their focus and writing productivity. Flowstate also encourages the ‘write first, edit later’ technique. Editing your work in the midst of your first draft will only slow you down. The tool is easy to use. Simply select the amount of time you want to write, then tap the keyboard and fire those words out. Workflow is vital, especially when you’re in the creatives. And when you get that perfect moment, nothing seems too impossible. But then, you get a ping on your phone: a new comment, 200 likes on your recent post, a message from a long lost friend. All of a sudden, you’re pulled away from your tasks. The next thing you know, you’re answering a “what kind of unicorn are you” quiz or watching a video of sneezing pandas. Freedom is a website and social media site blocker that helps you keep your workflow on. Just type the URLs of the sites or apps you like to block. Freedom can help you get rid of your bad habits such as constant checking of your social media feed. It’s a simple tool, but it can change and improve your productivity big time. If you’re a fan of the famous Pomodoro technique, then this is for you. Focus booster combines simple time tracking and the Pomodoro technique. It lets you work in short yet productive rounds followed by short breaks. The difference is, Focus Booster does not have a pause button. The lack of it lets you ignore distractions, helping you focus on your work. It also has a sleek dashboard that gives you details on where you spent your time. You can also record your focus booster sessions as well. The timesheets are also created automatically. Try it for free for 20 sessions here. Music is the product of a creative mind. But not every song can keep you productive. Brain.fm understands how music can affect our brains, so they made a music library which can influence our cognitive states. 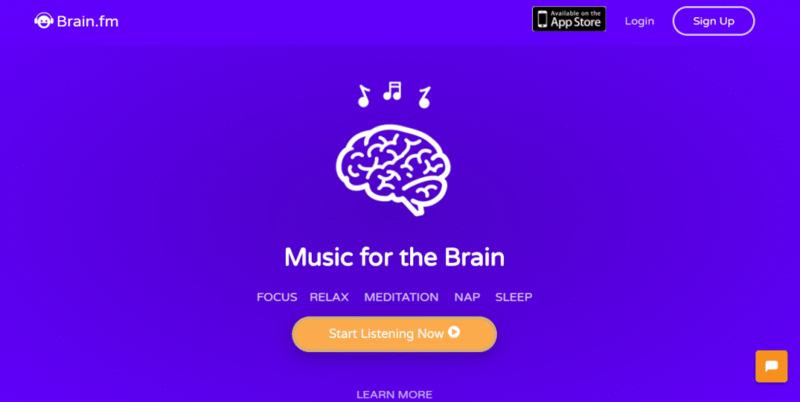 Whether you want to stay focused, meditate or nap, this app has the right tunes for you. The best thing about Brain.fm is that they work with auditory neuroscientists. This ensures you the best results which are backed by research. Create your own playlist here. We promised to give you only five, but these tools are too good to ignore. Opening multiple tabs and apps at once is a common scenario for multi-taskers. When there are so many windows on your screen, it’s easy to get lost. HazeOver darkens all the other windows on your screen except the one you’re using. Meditation improves focus, lessens stress, and clears the mind. Headspace is an app that can help you master the art of meditation. Use this app for 10 minutes a day and you’ll notice your focus improve. Escape is a distraction tracker. It tracks the amount of time you spend on checking emails or social media sites. It will also give you a report about the apps that interrupted you the most. This way, you can lessen your usage and focus on the things that matter. Have you tried any of these productivity tools? or are you currently using one but didn’t see it on our list? Tell us about it in the comments section.